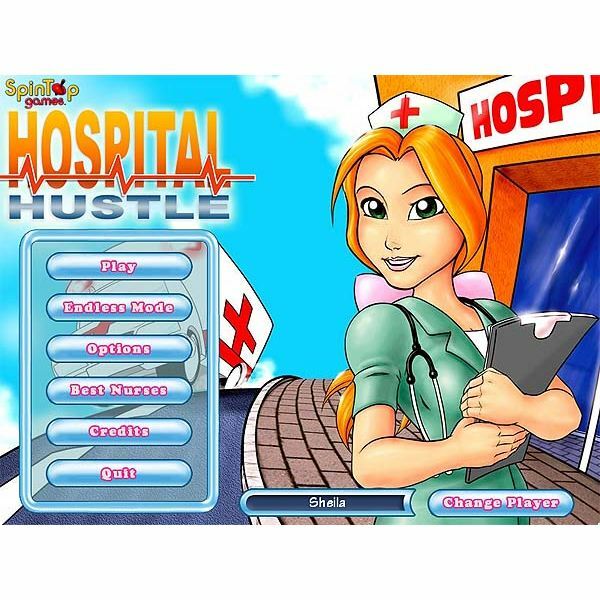 In Hospital Hustle you play Sara, a nurse graduate from the University of California. Sara will work at several hospitals throughout the U.S. to build up her career. The goal of the game is to provide assistance to sick patients and improve the efficiency of each hospital. For fans of the Diner Dash series, the style of play is very similar. Instead of providing food, you will take patients to the appropriate hospital department as well as distribute medication when needed. Each hospital will have several levels to complete. Each level is timed and will require a specific number of treated patients in order to move forward in the game. Patients arrive at the hospital and sit in the waiting area. Click and drag patients (one at time) to the diagnosis desk. After the clerk determines where they need to go, a thought bubble will appear above the patient’s head letting you know the location in the hospital where they need to go. Next, click and drag the patient to the appropriate medical station. Sara will then need to grab the medical chart from the nurse’s station and take it to where the patient is located. Sometimes a patient will require multiple treatments, need medication or be placed in a bed. In these cases, he will need to be moved to the appropriate location along with their medical chart. Once a patient is treated, they will leave the hospital on their own. Some medical stations will require cleaning after use. This task can be completed in between handling patients. Sara continues helping patients in the above manner until time runs out. If successful, she moves on to the next level. A summary screen will then display overall score and points. In between levels upgrades can be purchased to add new medical equipment, beds, decorative items, improve hospital service performance (employee salaries) or add items to keep waiting patients happy. 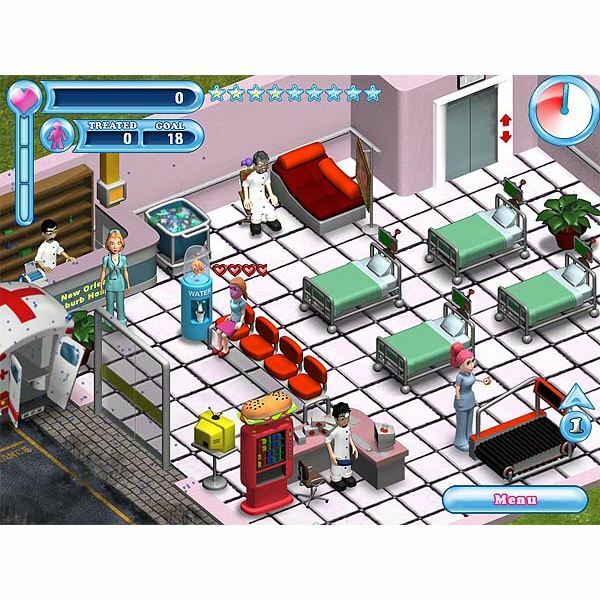 You win the Hospital Hustle game after completion of all levels in seven hospitals. If your hospital does not have the right medical equipment to treat a patient, they can be placed in the ambulance located outside the hospital doors. This is also useful for patients who have lost almost all of their health and are about to leave. Sarah walks and works at a slow leisurely pace. Use coffee to temporarily speed up her actions. When you begin to add upgrades to a hospital, always maximize the salaries of the employees, pharmacy costs and maintenance. This will ensure that medical equipment will not malfunction and charts/medicine will be available quickly. Medical equipment can be rearranged before you start any level. Sometimes, a particular type of medical station will be needed by multiple patients. In these cases, having more than one of this type of station will help improve your efficiency. An icon of a patient’s face will appear on screen when they are low on health. Make sure you have at least a couple of beds on each floor of the hospital. This way you will not need to clean them up as frequently. It will also limit the amount of times you will need to move patients between different floors of the hospital. Every time a patient leaves it will result in loss of points. Adding a TV set, plants, water cooler and vending machine will help improve waiting patient’s moods.